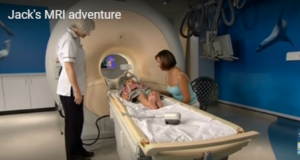 A website containing information, photos, a video clip and sound clips of an MRI scanner, all designed to prepare a child for an MRI scan. Developed by the Evelina Hospital. Also a photo storyboard outlining MRI’s for children under 11.